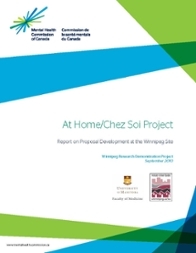 The At Home / Chez Soi Demonstration Project launched in 2009. 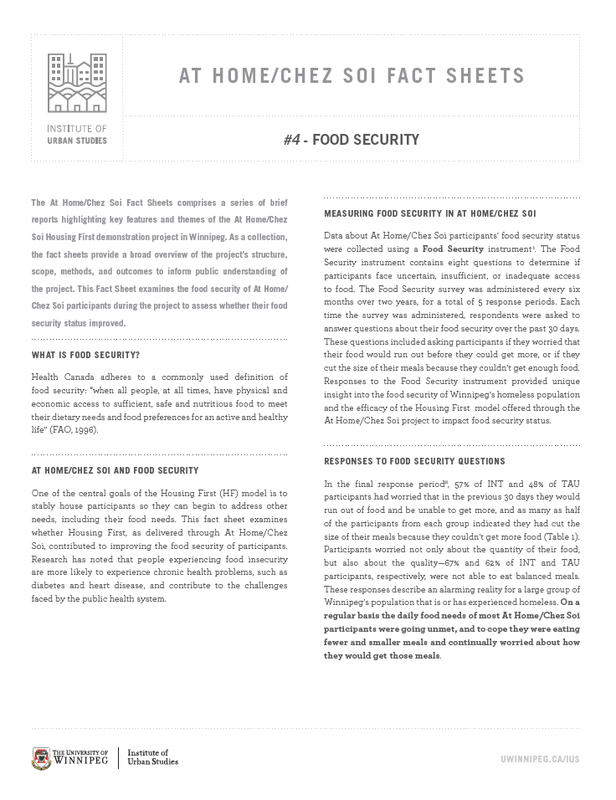 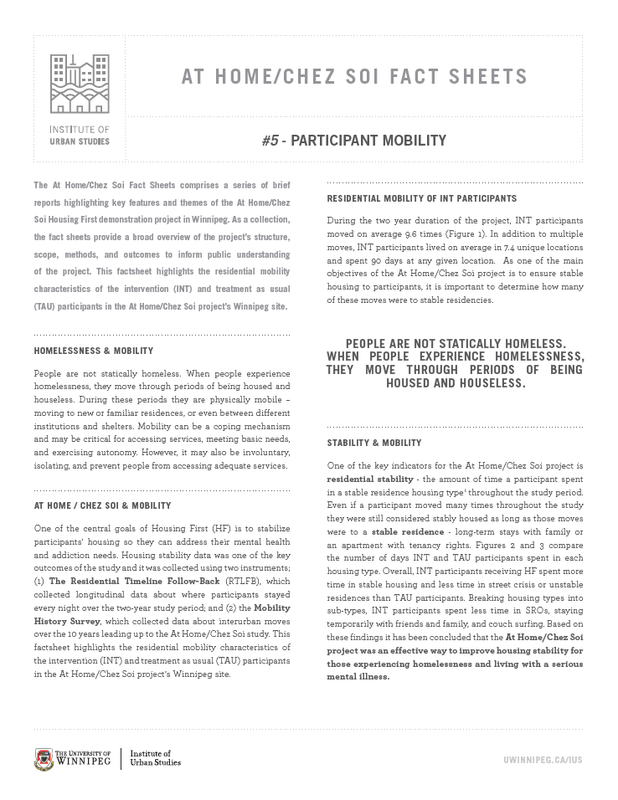 Since that time, the Institute of Urban Studies has undertaken a variety of roles for the project as well as independent research on homelessness. 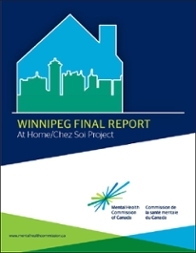 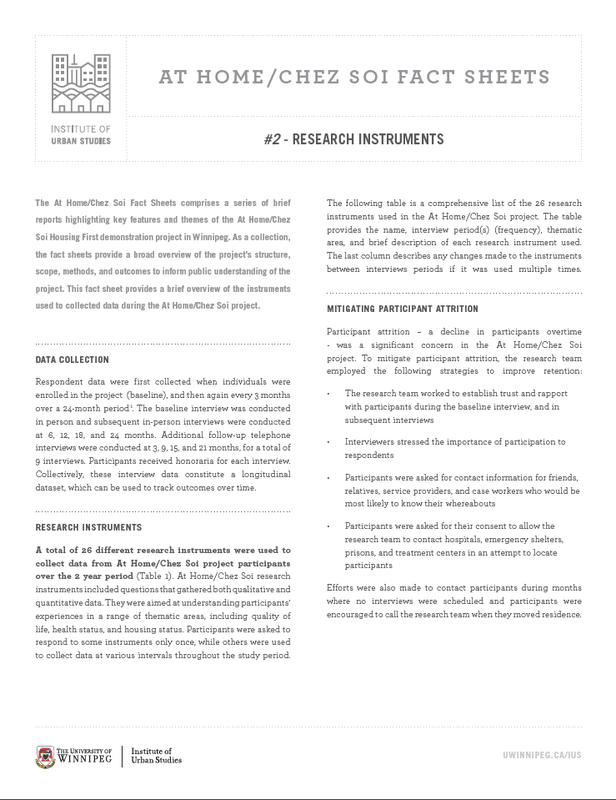 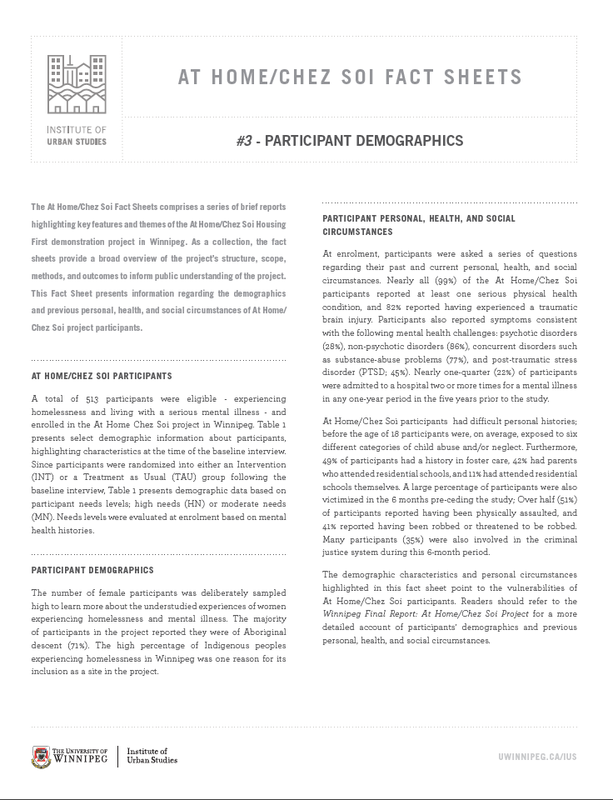 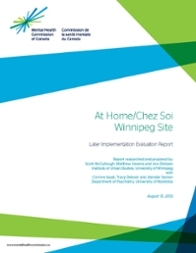 Dr. Distasio is a co-author of the National Final Report of the Project, the Winnipeg Final Report, and several peer-reviewed publications on aspects of homelessness and the At Home project. 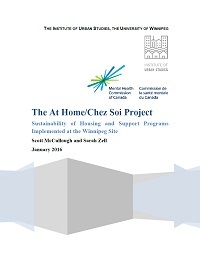 Researchers at the Institute completed the interim reporting for the Winnipeg Site, and continue to work on Best Practices for housing the homeless. 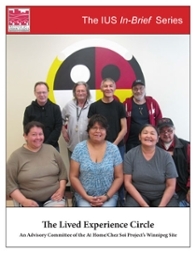 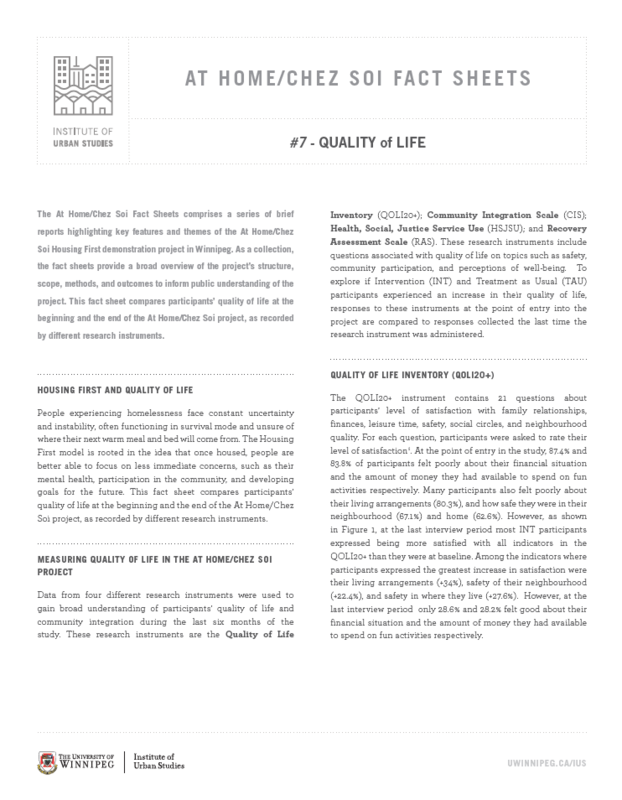 The IUS also hosts and supports research interviewers for the project, the Community Liaison Coordinators, and the Lived Experience Circle. 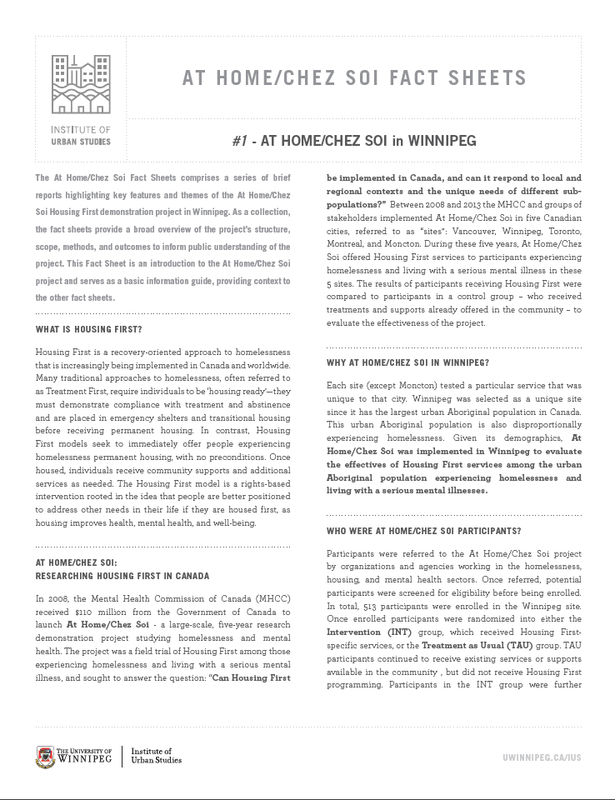 The Homeless Hub is an online research library created to improve access to homelessness information from across Canada. 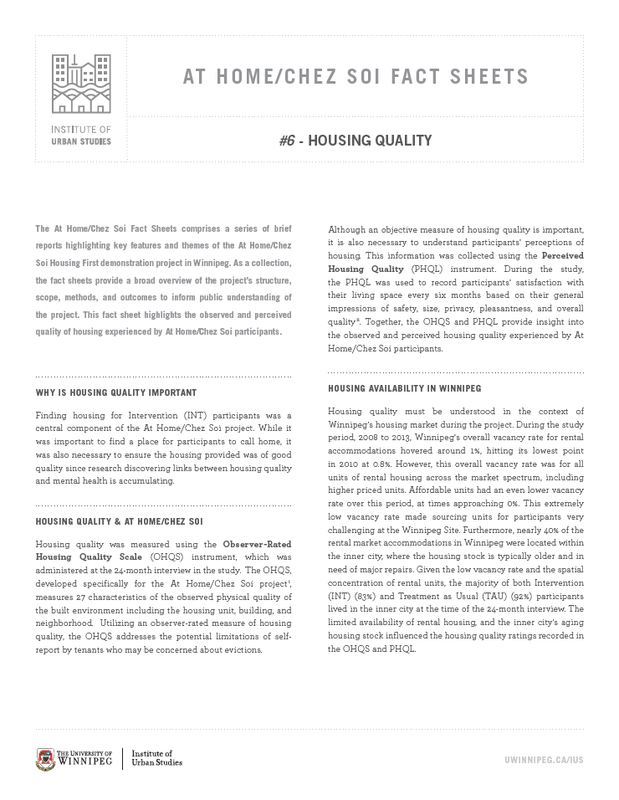 The Canadian Housing First Toolkit is a website and book developed to assist Canadian communities in adopting the Housing First approach. 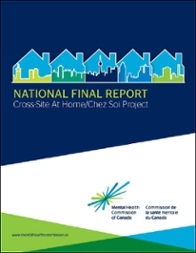 The At Home/Chez Soi site of the National Film Board is dedicated to telling the stories of participants in the At Home/Chez Soi project.